For over a year, ClassPass has been our fitness lifeline. After three straight years of aiming to run one mile per day, we experienced some serious exercise burnout and, therefore, excitedly welcomed the variety that a ClassPass membership offers. But, after trying what feels like every boutique studio from Miami Shores to Homestead, we are happy to have found a groove alternating between yoga, spinning, and Miami-style twerking (here's looking at you Vixen Workout). 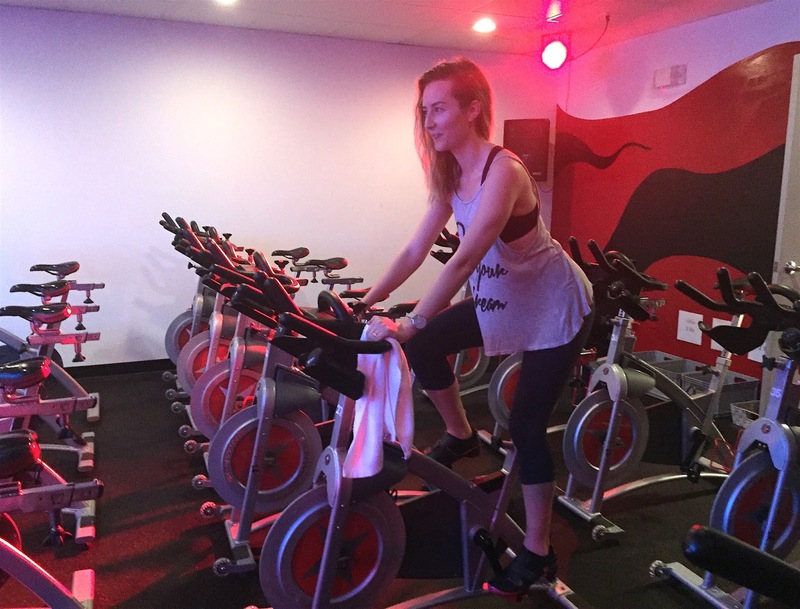 One of the best finds from our first year with ClassPass is RedBike Studios. Our first RedBike experience was before a rare morning meeting in Brickell, which gave us an excuse to check out a ClassPass studio in the area. We were hooked as soon as the instructor explained that, at RedBike, you pedal to the beat of each song and adjust your resistance accordingly. Plus, she mentioned there would be "choreography", which turned out to be synchronized arm and ab sculpting bobs also delivered on beat. So, basically, RedBike turned out to be the best of spinning combined with the best of dancing—a party on a bike, if you will—and we've been obsessed ever since. Our favorite instructor is Gabi. Our friend Vanessa clued us in to her killer 7 a.m. classes on Thursdays and, while we can rarely make it because Brickell is "so far", her class is our absolute favorite spin class in Miami. Accompanied by a healthy mix of Top 40, techno, and hip-hop songs, Gabi blends high resistance rides with high speed rides, which for us is the perfect combination. We also love that we always come out with a new favorite song, like Martin Garrix & Tiesto's "The Only Way Is Up" which we've had on repeat since we heard it in her class four months ago. For those of you who prefer more of a high resistance class, we recommend going to RedBike founder Albert's classes. We have it on good authority that his "climb" is no joke. We took his class for the first time last night and our legs are still shaking, which is a great sign considering we're currently training for an upcoming week of skiing in Colorado. Whether you're training, like us, or you're looking to have fun while staying fit, RedBike Studios is watcha want. Oh, and pro tip, if you place your smoothie or bowl order before class, it will be waiting for you when you're finished. So much yes. Have you been to RedBike? What did you like most? Who was your favorite instructor? What do you order at the smoothie bar? What are some of your other Miami fitness picks? Leave a comment below or send us a tweet @ThankYouMiami! When joining a fitness center or gym, individuals are usually given a schedule of classes that are taught there and the times of the classes.